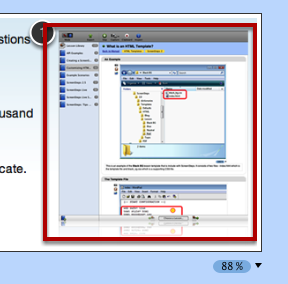 ScreenSteps Desktop 2.9 and Workgroup DocumentationScreenSteps Desktop & WorkgroupScreenSteps 2.9 Editing StepsHow do I Change the Layering of Annotations? Occasionally you may want to change the "stacking" of your annotations. This lesson will show you how to do that. In this image the number 1 is under our rectangle. We would like the number 1 to appear above it. 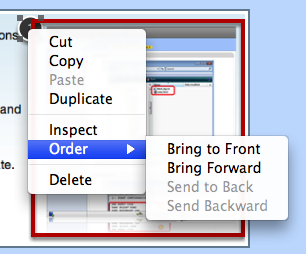 Right (or CTL click on Mac) on the annotation and select Order. 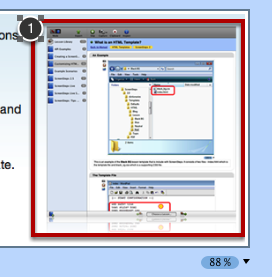 You can then decide if you want to move the annotation back or forward. Here you can see that the number 1 is appearing on top of the annotation. Next: How do I Check Spelling?